Cape Town is currently experiencing the worst drought in over a century, and despite a good winter rainy season in 2018, it’s more important than ever to make conscious choices when visiting. We’ve approached hotels in the city to find out what they’re doing to conserve water, and here are some of our favourite and most sustainable places to stay during the drought. For more information about the drought and how you can help, click here. 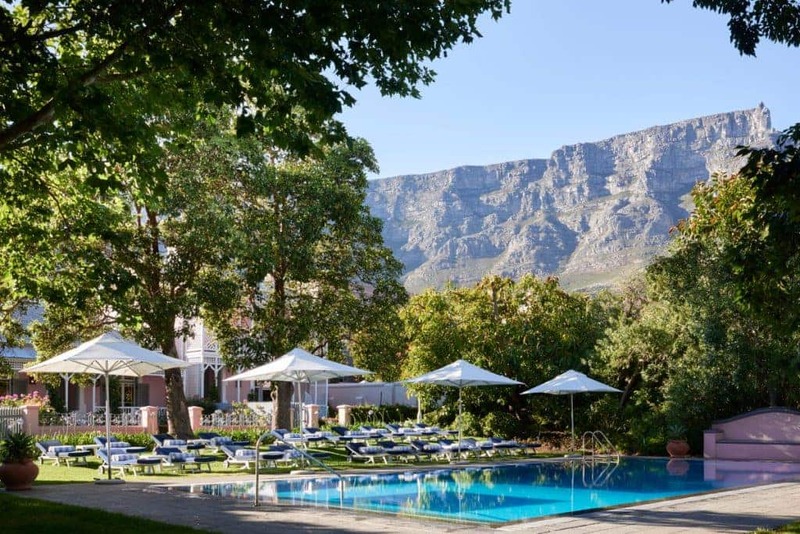 The Tsogo Sun Hotels group has 10 hotels in and around Cape Town, one of the most recognisable on the Cape Town skyline is the Southern Sun The Cullinan. Other hotels include the SunSquare Cape Town City Bowl, Southern Sun Waterfront, Southern Sun Newlands, Garden Court Nelson Mandela Boulevard, and StayEasy Century City. All baths have had their plugs removed with a note explaining why. Showers and taps have had their pressure reduced to save water without compromising the quality of your stay. Showers also have instant hot water so that no water is wasted while waiting for it to heat up. Tablecloths and linen serviettes are no longer used in the restaurants, and swimming pools are filled with borehole water. 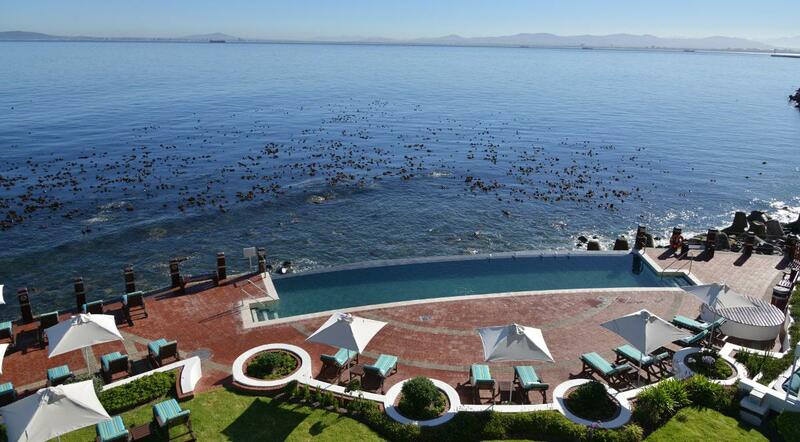 The Table Bay Hotel provides 5-star accommodation right on the edge of the marina in the V&A Waterfront. There is a wide selection of cuisine, and The Pool Bar with its cocktails, Jacuzzi, and heated pool make it a truly memorable stay. There is also access to the Camelot Spa with steam rooms and hydro baths. They’re also doing their bit to save water. Grey water is collected from the rooms and used for flushing toilets and watering the garden. There are water saving devices in kitchens, and in the garden, 50% of the flowering plants have been replaced with succulents and other water-wise plants have been planted. The pool recycles treated backwashed water. Notices are placed in all rooms to educate guests about the drought and what is being done. The Vineyard Hotel and Spa has always been a leader in sustainable tourism. The luxury hotel is situated on a huge garden estate, with Cavendish Square Shopping Centre is a short walk away. At the hotel, the on-site Angsana Spa allows you to revitalise your system and relax. In light of the water shortage in Cape Town, they are going above and beyond to ensure not a drop is wasted. In place of your bath plugs, you’ll find adorable little rubber duckies and a sign explaining why baths are not allowed. The showers have waterproof stopwatches to help you keep it under 90 seconds. They are also using greywater for hotel plumbing, and the gardens and swimming pools use borehole water. The hotel at Speir Wine Estate is 4-star luxury at its finest. It is located in the picturesque Stellenbosch Winelands. There are a number of restaurants to choose from, with experts pairing local and innovative foods with some of the country’s finest wines. Spier is a conscious farm, and their water conservation began a decade ago. On the farm, there is an innovative and eco-friendly wastewater treatment plant. The plant treats water from the hotels, restaurants, and winery. The treated water is used for irrigation purposes throughout the 6-acre property. Their pools use either non-potable water or rain water, and have evaporation guards. 100% of wastewater is recycled and put to good use. There are also aerators in all taps. Their efforts have seen a 50% reduction in water use over the last year. The Cape Grace is a 5-star luxury hotel located at the V&A Waterfront. They take care of your every need, with services ranging from chauffeur transfers to use of the hot spa and 24-hour fitness studio. The rooms overlook the yacht marina or working harbour. The hotel has been implementing water-saving measures since 2016. The showerheads have been replaced to reduce waste without compromising on water pressure, and bath plugs have been removed. The tubs have each been fitted with a BabyDam – an innovative baby bath that can save up to 28 litres of water with each use. The water-wise gardens are being watered with grey water when necessary, and the pool is protected with a liquid pool blanket that is environmentally friendly, non-toxic, and minimises evaporation. Water-heavy treatments at the spa have been removed from the menu, but there are still plenty of relaxing options to choose from. They also supply complimentary hand sanitiser and have placed water saving suggestions in the bedrooms, bathrooms and public areas. The Mount Nelson is Cape Town’s famous urban sanctuary. The hotel’s iconic heritage and unparalleled service have earned it a reputation as one of the city’s top five star hotels. In bathrooms, a tag has been placed on all plugs with a message encouraging you to shower rather than bath. Taps have been aerated to reduce usage, and disposable towels have been placed in bathrooms instead of cloth towels to prevent unnecessary laundry. Water is also captured from a natural Table Mountain spring that runs through the property, and this is used for laundry and topping up the pool. Soon this water will be used to flush toilets too. The Park Inn Cape Town is where affordable travel meets first class service. Table Mountain, the Artscape Theatre and Camp’s Bay beach are all only a few minutes away. Whether you’re travelling for business or leisure, Park Inn has everything you need for a pleasant stay. The hotel has reworked downpipes to ensure all rainwater flows straight into the pool and not down the drain. The last rinse water from washing machines is being collected and used to top up the pool, water plants, and clean floors. Plants at the entrance of the hotel have also been replaced with artificial alternatives. 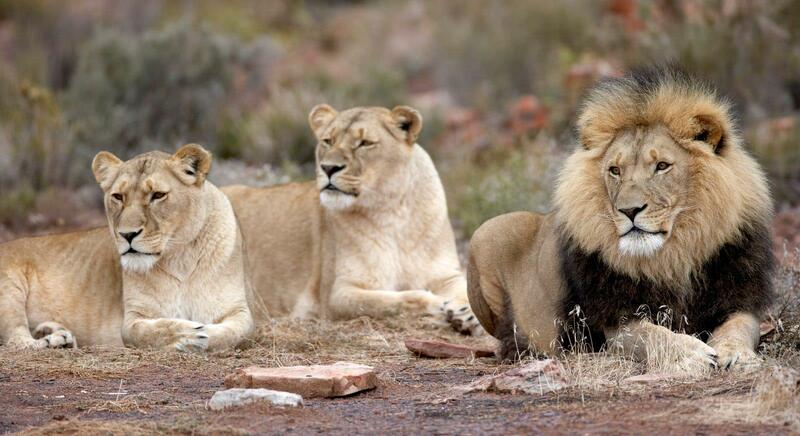 Aquila offers luxury accommodation, and the chance to get up close and personal with the famous Big 5 , leopard, lion, buffalo, elephant, and rhino. It is technically outside of Cape Town, in the Breede River Valley, and they do not have the same restrictions in place. However, they’re still making every effort to preserve this precious resource. Plugs have been removed, and there is clear messaging explaining the situation to guests. Gardens have been changed to remove plants that require a lot of water. The also have a limited supply of their own ground water. Why not stay out at Aquila, where the land is less water-stressed, and travel to Cape Town for sight-seeing? It’s only a two and a half hour drive away. The Radisson Blu at the Waterfront is just a 5-minute drive from the city centre and is close to the premium beaches of Clifton and Camps Bay. They’ve also implemented excellent water-wise measures. In the hotel lobby, a prominent display uses bottles of mineral water to illustrate how much water can be saved by having a quick shower instead of a bath. They have also secured sufficient water storage to make sure you’re not affected by shortages.They were also one of the first to close their pool to save water, but have now reopened it and it is filled with filtered seawater. 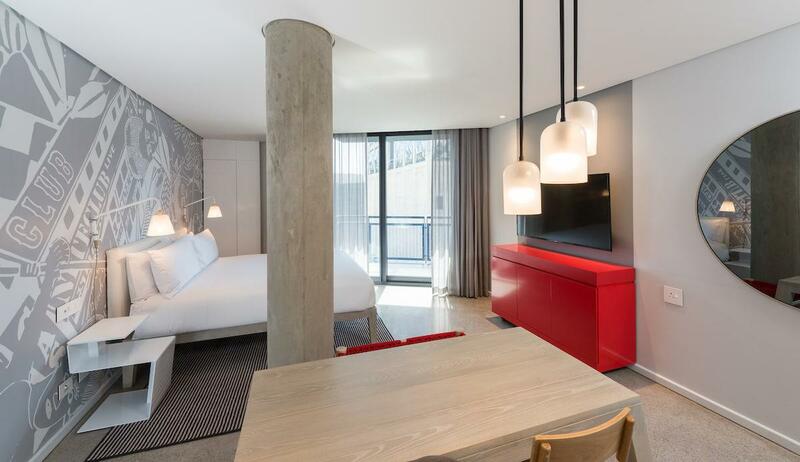 The Radisson RED is the first hotel of its kind in Cape Town, focusing on art, fashion and music to connect people. It is located in the vibey Silo District and features a rooftop sun terrace with views of the sea as well as Table Mountain. The newly-built hotel has incorporated design elements that assist in water saving, such as eco flush on all toilets, no baths but rather showers which heat up in under six seconds and a climate control system that uses ocean water for heating and cooling processes. On TVs in the rooms, they have included an “H20 Help’ water menu explaining how you can help save water. The splash pool is open for business and is refilled with non-potable water.